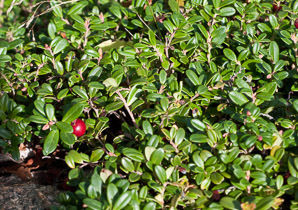 Lingonberry is a Swedish name, though these have numerous other appellations, such as mountain cranberry. “Lingonberry” is considered preferable by many botanists, to help distinguish this species from cranberries. 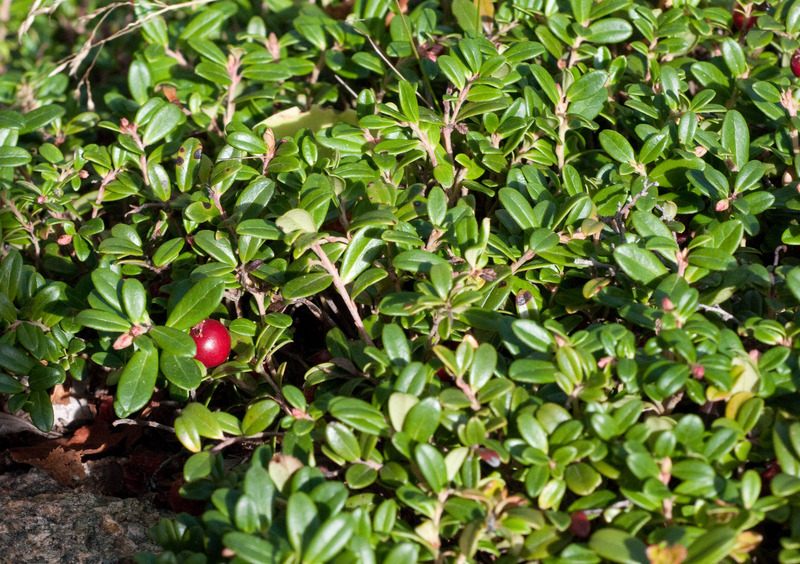 Identification: Plants are small evergreen shrubs 2-7" (5-17 cm) tall. 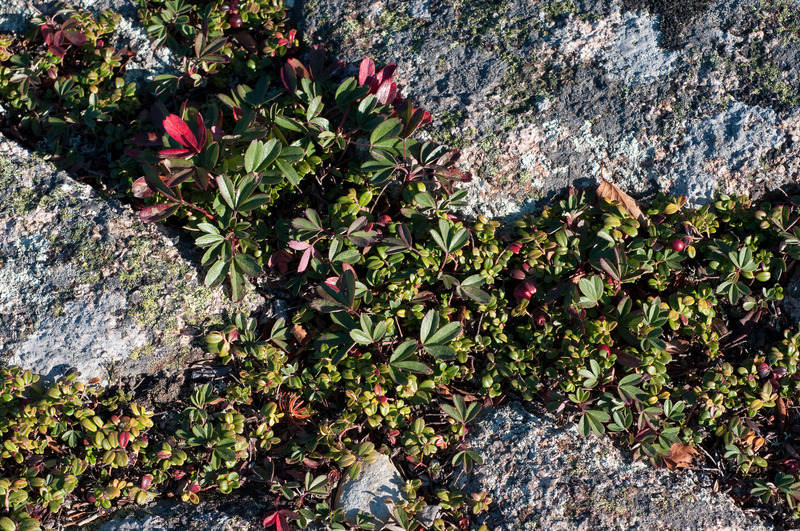 They keep their leaves all year long despite their preference for cold, often exposed mountain slopes. 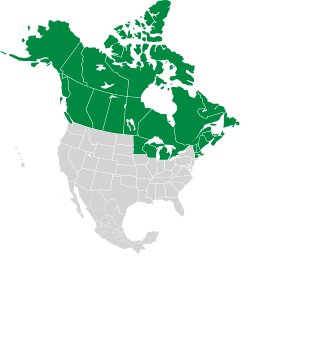 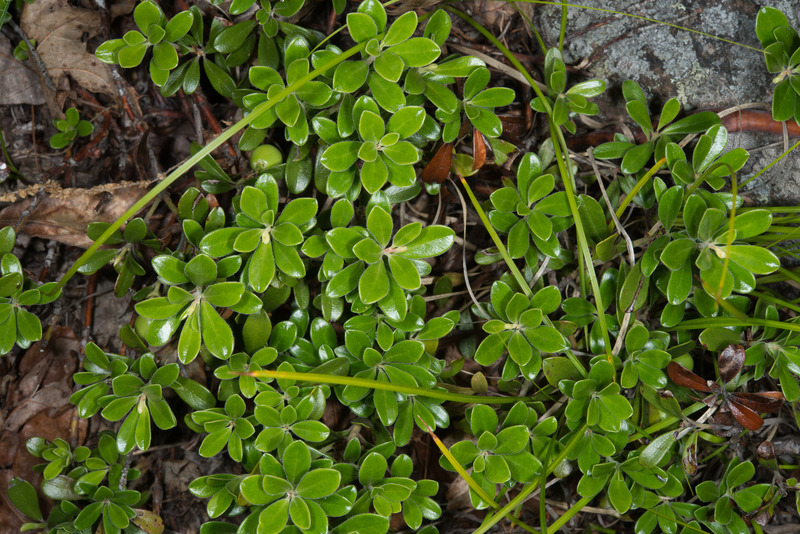 Leaves are less than ¾" (1.9 cm) long, usually closer to ½" (1.3 cm); dark green and shiny on top. 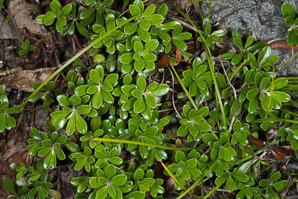 Flowers are white or pink, and bell-shaped, about ¼" (6.3 mm) long. 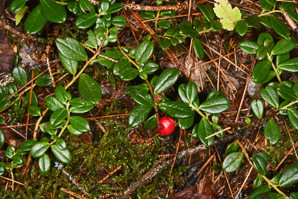 Berries are bright red, ¼-⅜" (6.3-10 mm) in diameter. 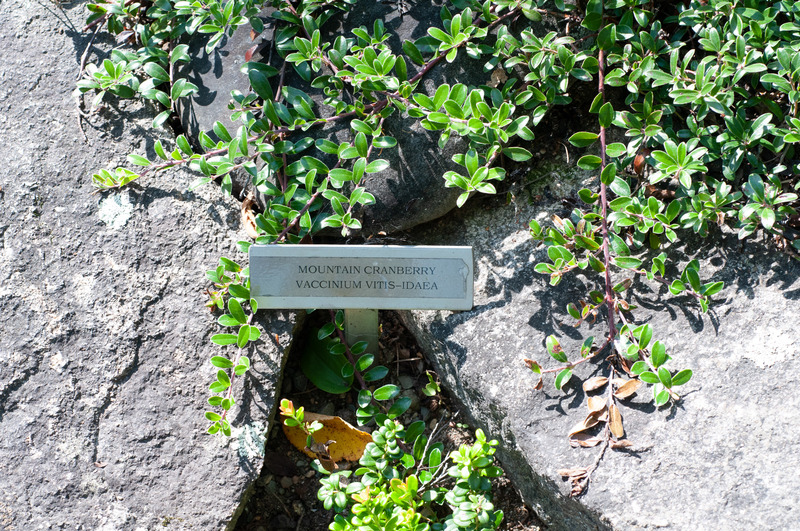 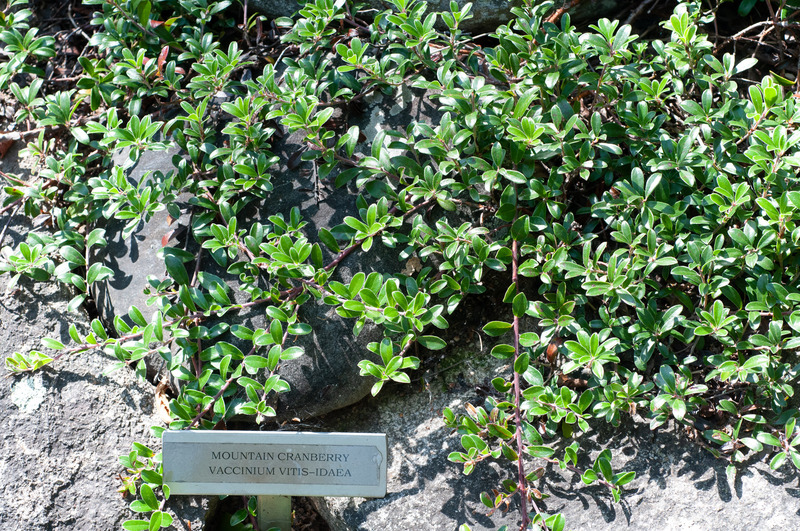 This Vaccinium comparision chart also includes a couple of similar-appearing species that are not Vaccinium. 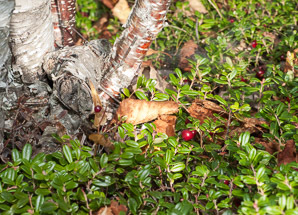 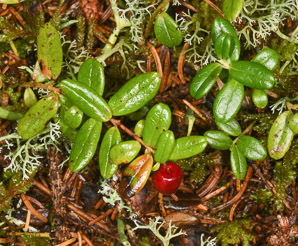 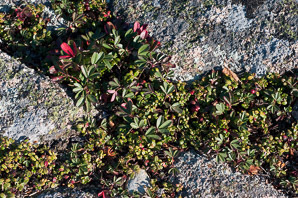 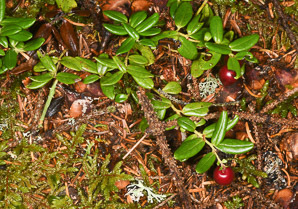 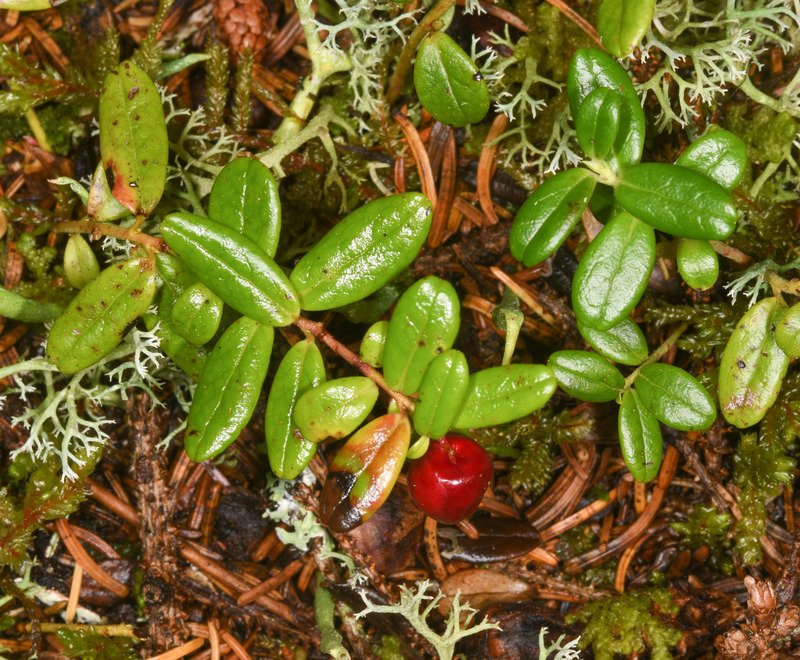 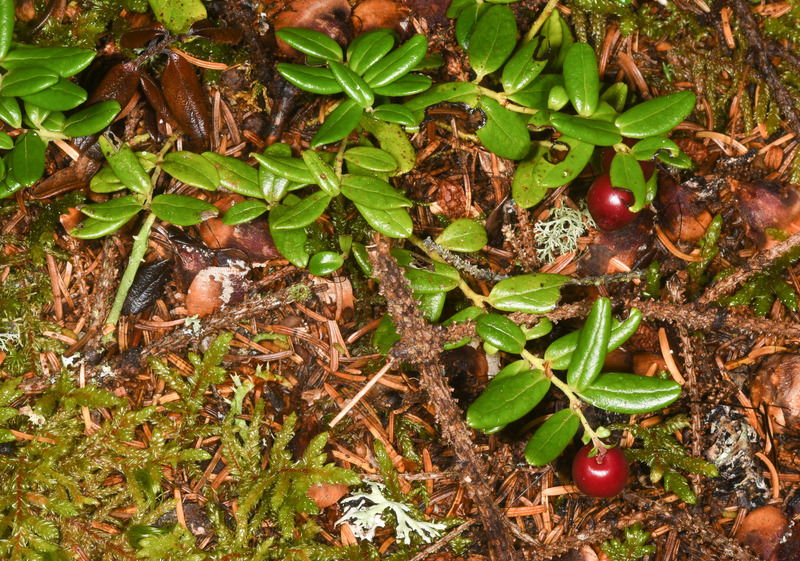 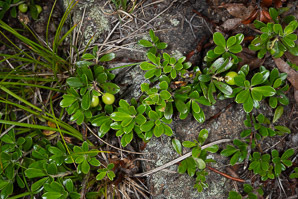 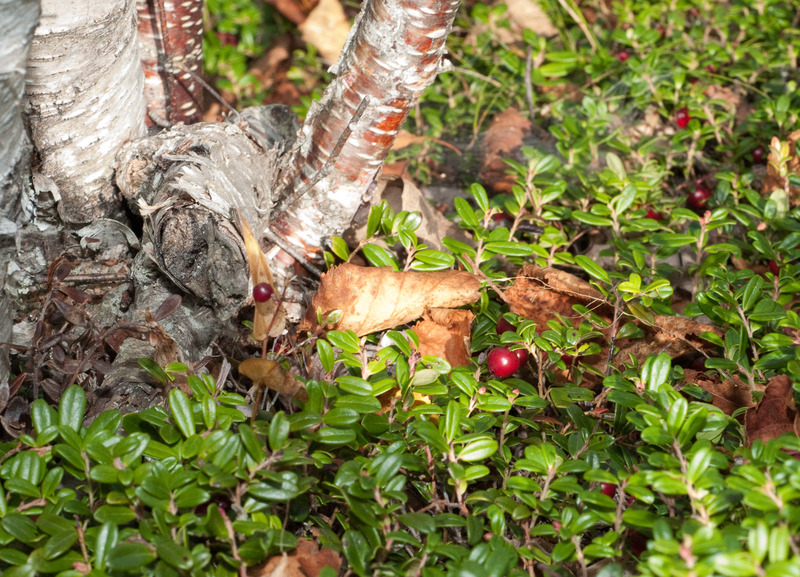 Edibility: Lingonberries are collected in the wild in several areas of Europe. 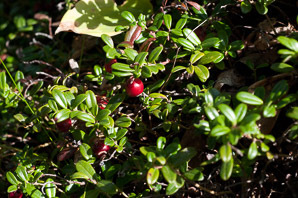 They are tart when fresh, but are cooked and sweetened to create jams, compote, or juice. 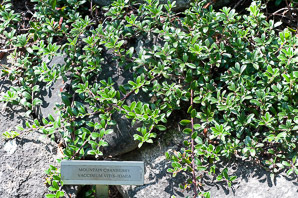 They have vitamins and minerals, as well as other nutritional benefits. 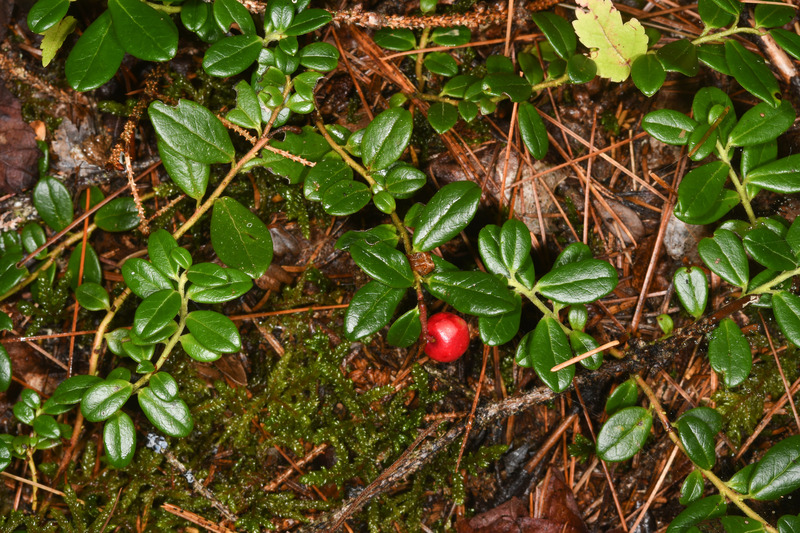 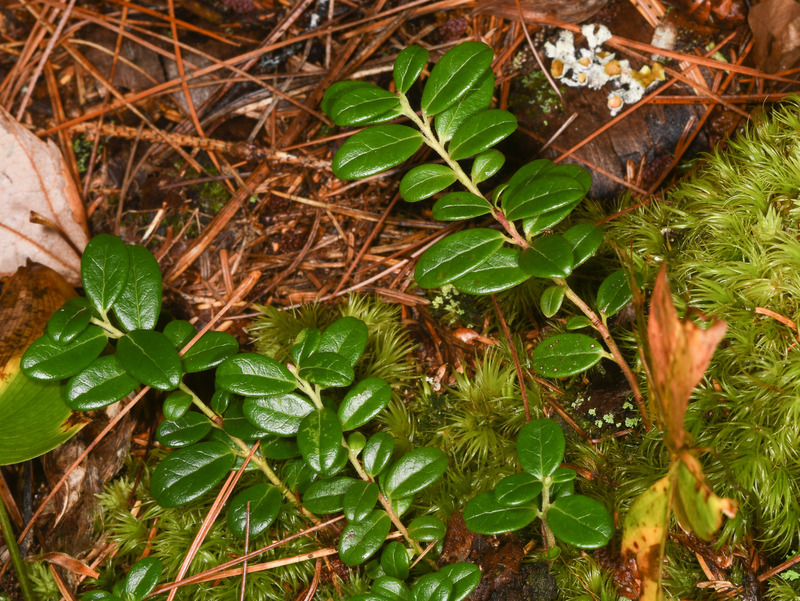 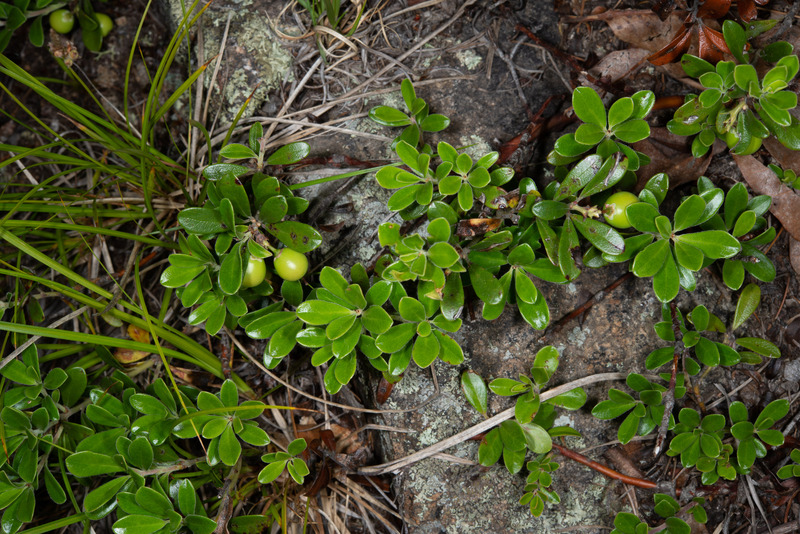 Vaccinium vitis-idaea description by Thomas H. Kent, last updated 12 Oct 2018.